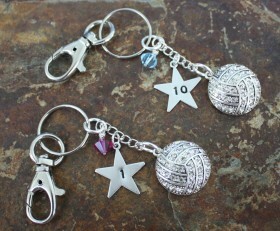 This adorable key chain has a bling volleyball and the number of the player stamped on a star charm. 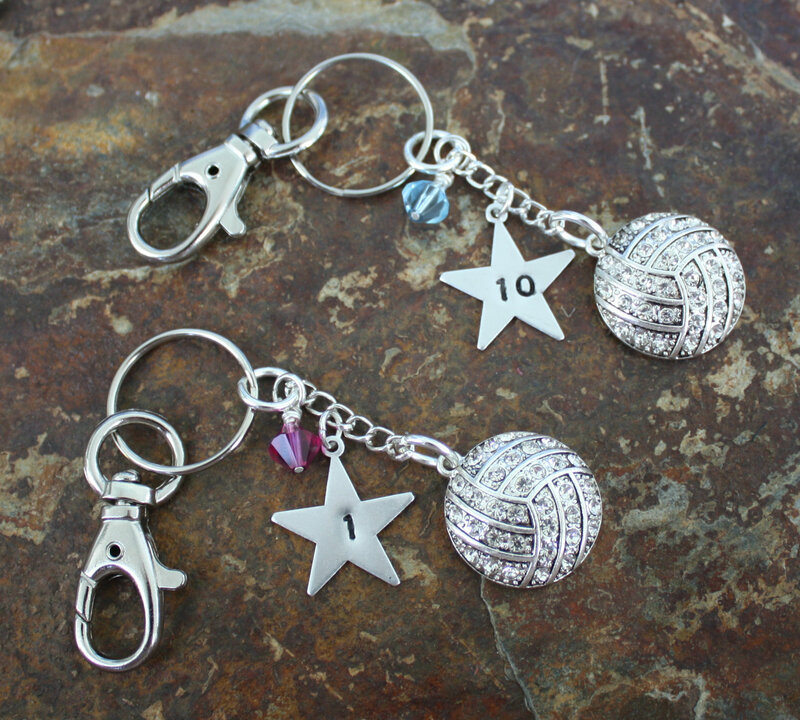 Add a Swarovski crystal of your choice or team’s colors and it all hangs from a lobster clasp. 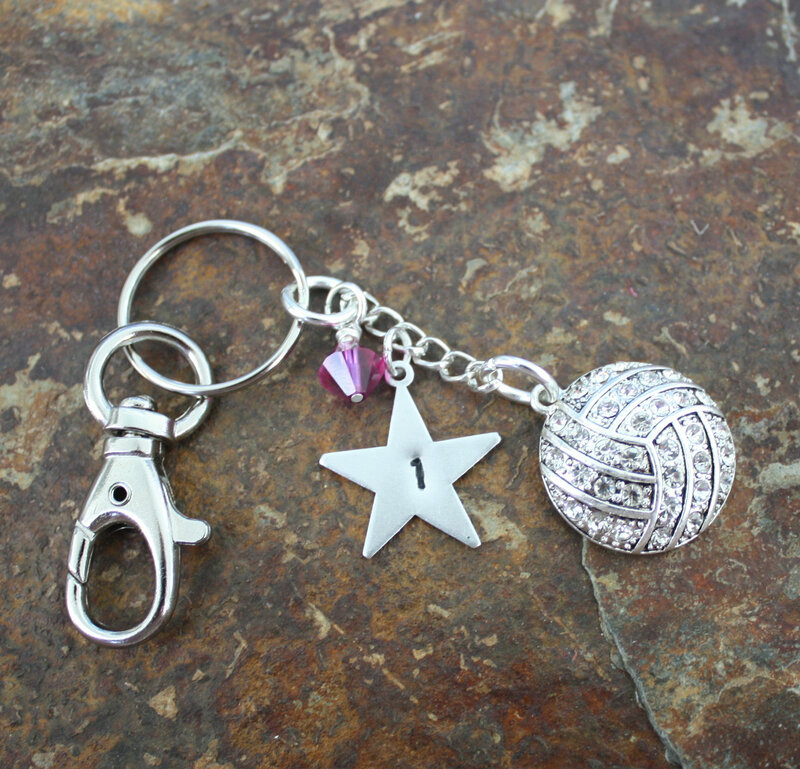 Use as a key chain or hang on a purse.